For the first time, scientists say that they have succeeded in treating fatal chytrid fungal disease in a wild toad species. Study found that treating tadpoles with antifungal drug itraconazole, and applying agricultural disinfectant Virkon S on toad habitat, managed to rid the toads of infection for continued period of time. But the cure may not be applicable over other vast, complex landscapes, other researchers warn. Amphibian lovers now have a reason to cheer. In the first victory of its kind, biologists from Spain and the U.K. have succeeded in treating the fatal chytrid fungus in a wild toad species — the Mallorcan midwife toad (Alytes muletensis). The researchers have also managed to stamp out the deadly fungus from four out of five ponds on the Spanish Island of Mallorca, located in the Mediterranean Sea, where these toads reside, according to a study published last week in Biology Letters. Since the treatment, the Mallorcan midwife toads on the island appear to be free from chytrid fungus infection, researchers say. “This is the first time that chytrid has ever been successfully eliminated from a wild population — a real positive which we can take forward into further research to tackle this deadly disease,” Jaime Bosch, lead-author and senior researcher at Museo Nacional de Ciencias Naturales (MNCN)-CSIC in Madrid, Spain, said in a statement. 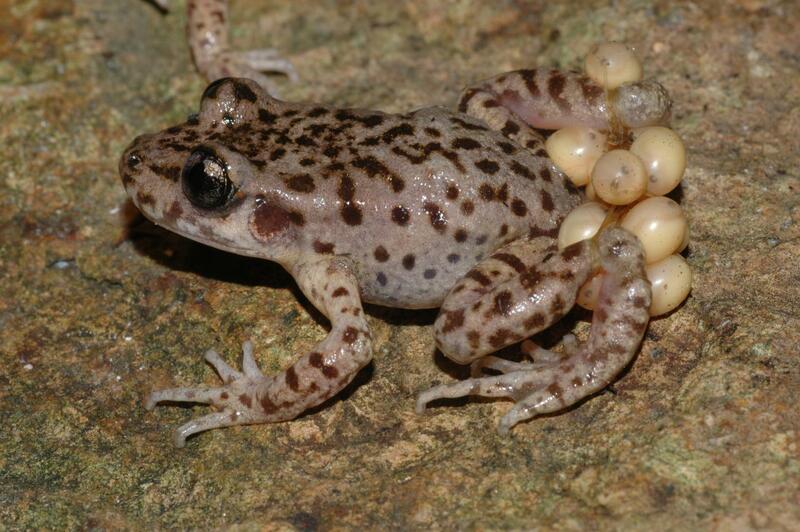 Biologists have succeeded in ridding Mallorcan midwife toad (Alytes muletensis) tadpoles of chytrid fungus infection. Photo by Jaime Bosch MNCN-CSIC. The chytrid fungus (Batrachochytrium dendrobatidis or Bd) has severely affected over 700 amphibian species in the world. 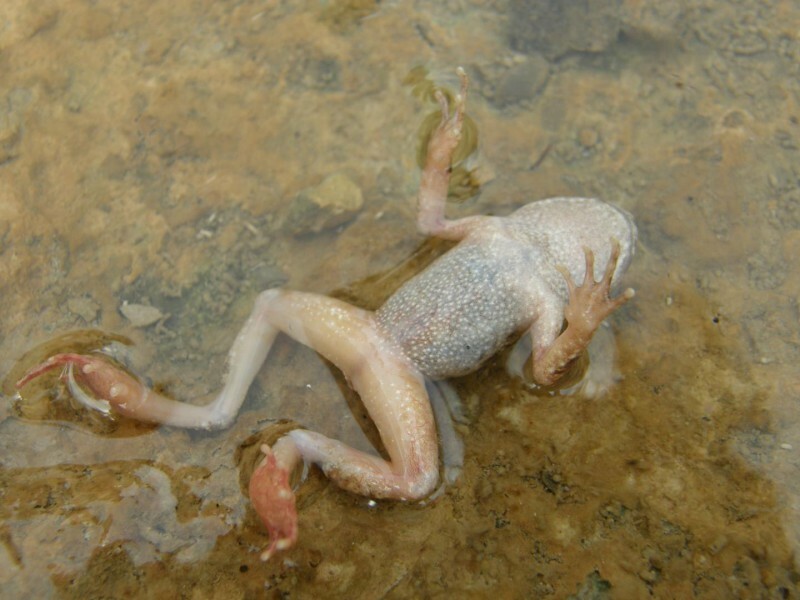 The fungus causes an infectious disease called Chytridiomycosis in frogs, toads and salamanders, which damages the outer layer of the amphibians’ skin, preventing them from absorbing nutrients or water, and eventually suffocating them. Given the urgency of the crisis, Bosch and his colleagues decided to assess the efficacy of a combination of treatments: applying antifungal drugs to infected toads and spraying their habitats with disinfectants. Over a five-year trial, the team collected Mallorcan midwife toad tadpoles from ponds on the island, treated those tadpoles with an antifungal drug called itraconazole in their laboratory, and then returned the treated tadpoles — by helicopter — to their ponds. During the first set of trials, the team did not disinfect one set of ponds. Instead, before releasing the treated tadpoles, the team let the two ponds naturally dry out. During periods of drying “Bd is not thought to persist,” the authors write. The ponds filled up again during the autumn rainy season. However, the treatment plan failed. The next spring, all the treated tadpoles had contracted chytrid fungal infections again, the team found. Chytrid fungus is lethal, suffocating the amphibians it infects. Photo by Jaime Bosch MNCN-CSIC. In 2012, the team added an extra layer of treatment to a second set of three ponds. They drained the ponds, and then applied Virkon S solution, an agricultural disinfectant manufactured by DuPont, to the rock crevices around the ponds where adult midwife toads typically reside. 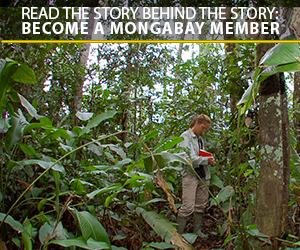 Two years later, in 2014, the team did not detect signs of infection in any of the animals sampled from these ponds. The team repeated this series of treatments in the first set of ponds, and managed to eradicate the infection in one of the two ponds. So in all, the team managed to eliminate the infection from four out of five ponds on the island they treated. “This study represents a major breakthrough in the fight against this highly-destructive pathogen; for the first time we have managed to rid wild individuals of infection for a continued period,” co-author Trenton Garner, Reader within ZSL’s Institute of Zoology in the U.K., said in the statement. However, the cure may not be replicable over a vast, complex landscape, other researchers warn. The researchers also warn that Virkon S is a controversial chemical to use environmentally, and an “investigation of the potential impacts of chemical application to other biodiversity, the environment and associated ecosystem services,” is necessary before it is widely used.